Pakistan Muslim League-Nawaz (PML-N) leader Pervaiz Rasheed has said that the party will consider supporting Pakistan Peoples Party’s Aitzaz Ahsan for the post of president if he apologises to incarcerated former premier Nawaz Sharif. “The PML-N will only consider Ahsan for the post of president if he visits Adiala Jail and apologises to Nawaz Sharif,” the former information minister said while speaking to the media outside Adiala jail on Friday. 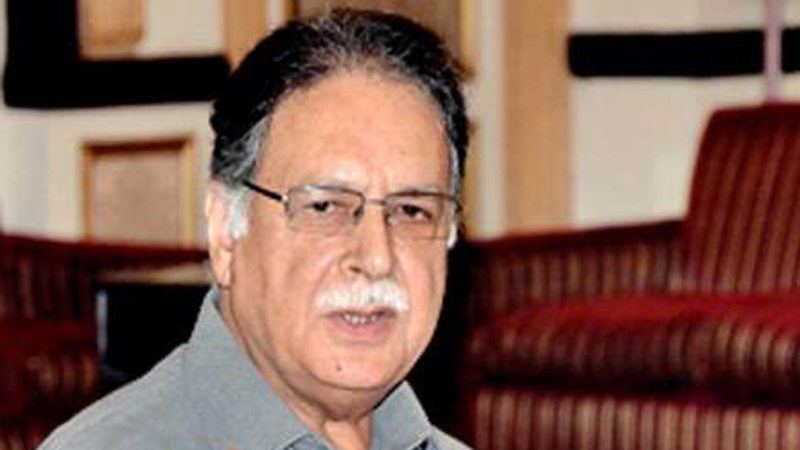 “The PML-N has not yet made a final decision regarding its presidential candidate,” the former minister added. Last week, the Pakistan People’s Party (PPP) nominated Ahsan as its presidential candidate. However, PML-N stated that Ahsan could not be considered a joint opposition candidate. It may be motioned that the Pakistan Tehreek-e-Insaf (PTI) has nominated Arif Alvi for the presidency, the election for which is scheduled on September 4.